Red and black chalks on light brown laid paper. 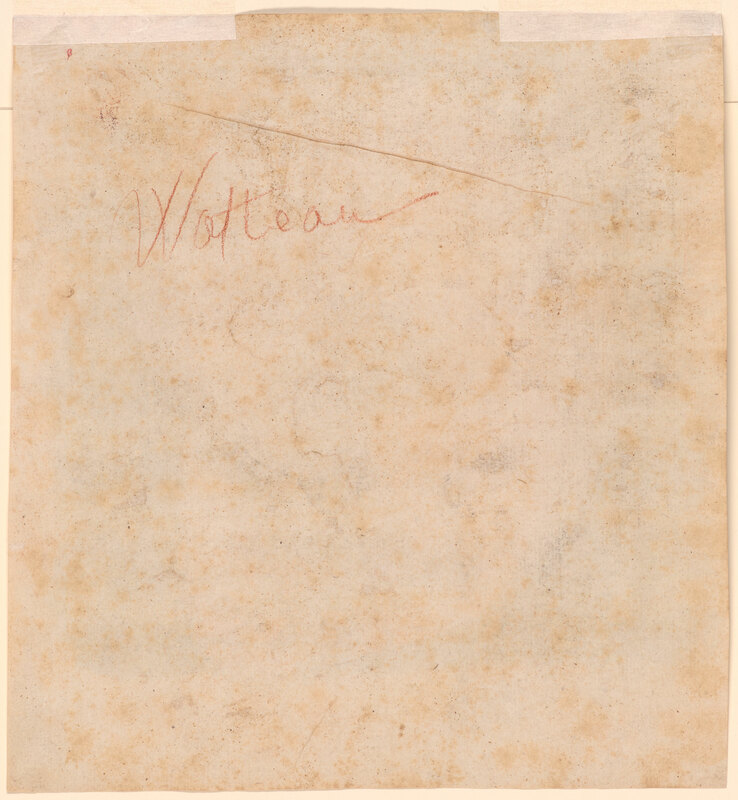 Inscribed on verso, in red chalk, "Watteau". Camille Groult (1832-1908), Paris; Jean Groult (1868-1951), Paris; Pierre Bordeaux-Groult (1916-2007), Paris; his sale, Paris, Palais d'Orsay, 23 February 1978, no. 8, repr. ; acquired from David Carritt Limited, London. 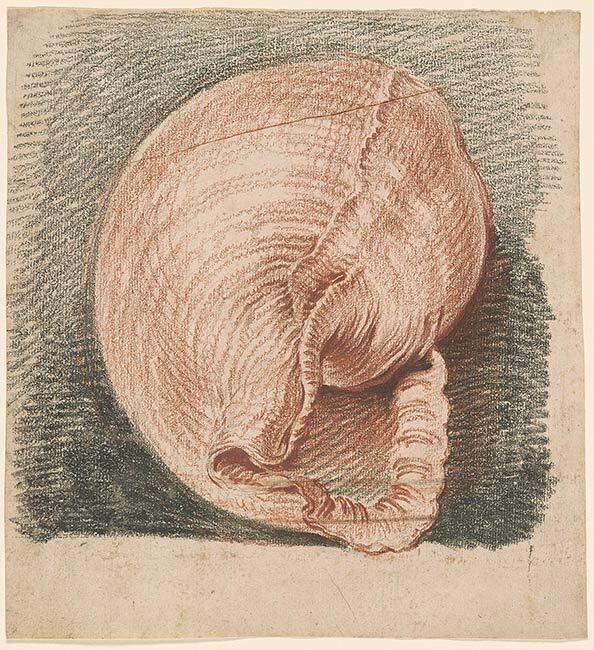 This is one of only eight known shell studies by Watteau, generally believed to have been drawn in 1720, when the artist was convalescing at the home of the picture dealer Gersaint, whose private collection included seashells.